Why Choose Our Steel Barrels? Home » Blog » Why Choose Our Steel Barrels? December 28, 2018 Why Choose Our Steel Barrels? Our steel barrels are manufactured from superior quality steel material that comply with industry standards and government regulations. The barrels are strong and highly durable. They are more resistant extreme temperatures as compared to other types of packaging. They are durable enough to serve your needs for years to come if handled properly. 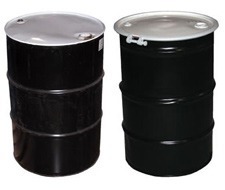 Furthermore, steel barrels provide unique shipping and storage solutions for certain hazardous materials. Properly tested, certified, and marked steel barrels feature the manufacturer’s closure instructions and can offer a safe shipping and storage solution for suitable hazardous products. In addition, our steel drums are very flexible and versatile. They can be used to ship and store a wide variety of products. Whether you need a suitable storage solution for solid, dry, liquid, or semi-liquid products. They are also suitable for containing and transporting hazardous and non-hazardous products. Above all, our steel drums are relatively easy to use. You can easily open or close the drums. The steel barrel also feature ample filling space depending on the size that you select and the profile of your product. If you need a barrel that is easy and efficient to fill or dispense, steel drums are the ideal choice. At Youngstown Barrel & Drum, we offer you superior-quality, highly durable steel barrels that can meet industry standard and can comply with government regulations. Our steel drums also come in an assortment of sizes, styles, and colors. We can supply you with 30 gallon steel drum, 55 gallon steel drum, 85 gallon steel drum, 110 gallon steel barrel, and lots more. These drums are affordable and will absolutely serve your commercial and industrial needs for a many years to come.